In 1225 Westminster Abbey divided its estates, to provide support for either the Abbot or the monastery. Morden was allocated to the monastery kitchen. A document of this time mentions eighteen customary tenants paying rent as well as providing labour service. Most of these are likely to have lived around Morden Green in Lower Morden, though one was in Central Road. There were also three large freehold estates in Morden, which soon became independent properties. One, owned by William de Wattune and given by him to Merton Priory, became Hobalds in Lower Morden. The Priory also owned the Spittle estate, between Central Road and Carshalton. A neighbouring estate was Ravensbury, with lands in Mitcham and Morden. In 1312 Westminster Abbey undertook a survey of its estates including Morden. The large freeholds mentioned in 1225 were no longer part of the manor. There were four smaller freehold properties in Morden, as well as thirteen customary tenants who held 240 acres of arable land. Twenty-five tenants rented cottages, yards and small plots of land. Some of the cottages were within the customary tenements in Lower Morden, but most were in a new development along Central Road, on land taken in from roadside waste. The demesne lands were all listed by name and acreage, as well as land use – 306¾ acres of arable, 2½ acres of meadow, and 35 acres of pasture. No woodland was mentioned in Morden. There was a ‘Capital Messuage’ or house, with gardens and yards, on the site of the later Morden Hall (see Bulletin 148). 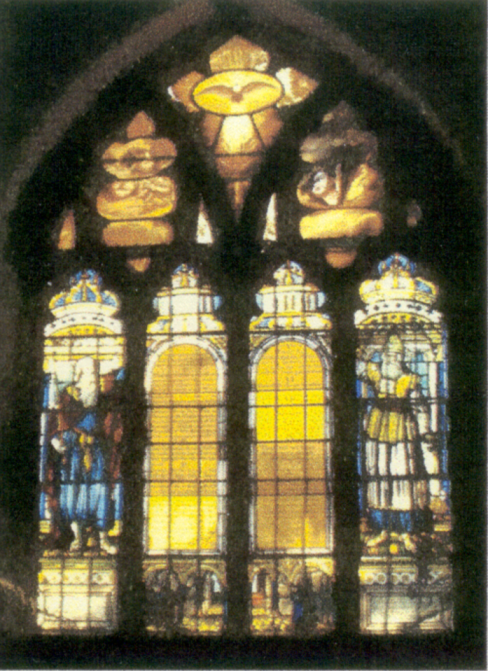 Surviving accounts record the building work undertaken at the parish church in the 1350s, including a new east window in the chancel. Until 1358 Westminster Abbey ran the estate directly through its own officials. After this date, however, the demesne or home farm was leased to a succession of tenants or farmers. The Rectory, or the right to the great tithes, was also leased to laymen, including William Wynteworthe in 1391, who probably gave his name to a substantial freehold property in Lower Morden. The final lease was granted in 1511 to William Porter. It was for 60 years, and by the time it expired Westminster Abbey had been deprived of its estates. All the known extant documents relating to the manor of Morden have now been translated, and are available on this website, together with images of most of these documents.